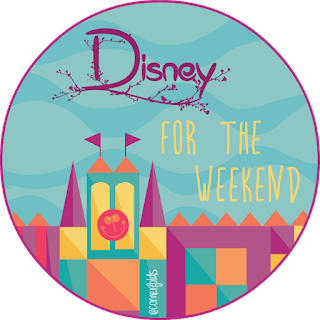 Welcome back to Disney for the Weekend, one of my very favorite blog features! We've talked about under-appreciated films not once, but twice. Disney movies are amazing!! Today I wanted to take it down a notch. Instead of talking about Disney movies that we have loved on the big screen, I'm talking about the most awesome Disney Channel movies from my childhood! Can we please talk about how great this movie was?? How about the fact that this is Zenon, girl of the TWENTY-FIRST century! Set in 2049 (just 33 years from now), this movie focuses on Zenon, a girl who lives on a space station. Like many movies of the 90s, this one is way too high tech way too soon, but it makes for a super awesome movie! And let's not forget Proto Zoa, who sang what was arguably the best song of 1999. Another film about advanced technology, Smart House told the tale of AI gone wrong. (And it has that guy from Pretty Little Liars.) Bratty kid Ben tries to reprogram the house's AI and it goes wrong (shockingly). It's a hilarious warning against messing with AI to screw over your dad's girlfriend. Oh, look! More Ryan Merriman! He was definitely Disney Channel famous in the 90s and 2000s, and for good reason! He made quality films and he had an adorable face. Okay, so really The Luck of the Irish was kind of ridiculous. It's a movie about a basketball player who becomes... a leprechaun. Yep, you read that right. I won't like, it's weird. But I thought it was pretty great as a tween! This movie honestly cracked me up when I used to watch it. Yes, I watched it more than once. It had Lizzie McGuire and the older sister from Even Stevens. How could I not watch it? It's about a teenager who gets forced into going to military school and gets saddled with a pretty awful superior. She tries to keep her individuality in the strict school, but it doesn't always work out in her favor. Obviously, there's some teen romance, but it's cute!